My update is a couple days late this week as I’ve been busy running around doing things. But here is my three things which have made me go 🙂 this week! 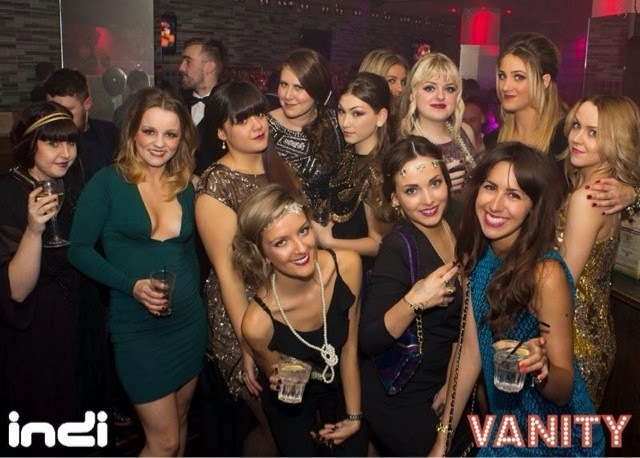 1920’s Birthday party: Last Saturday, my best friend’s birthday was held at Indi Bar at the Arcadian. We all dressed up in 1920’s gear, which meant whipping out the sequins, heavy lined make up, pretty-styled-hair and dancing. We stayed at an apartment for the night in the middle of town so we could celebrate in style and dance into the early hours of the morning. We managed to get this group shot of us all. It’s very rare we all have a photo together. This is definitely one of my favourite pictures, ever. 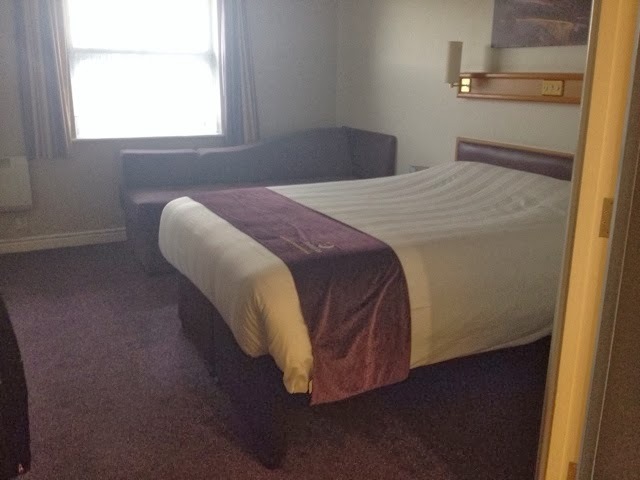 Premier Inn: Last Monday, I drove down to Portsmouth for the night for work. I got put up in a Hotel there. I went out for food with my colleague Charlotte, and we ate steak and drank wine. I’d had a really fun but sleepless weekend, so falling into bed on the Monday night after a hot bubble bath was absolute bliss. On the Tuesday, Charlotte and I worked, advertising our lockers and we got to give out merch and sweets and talk to people. I’m usually a pretty confident person, so this was something I enjoyed. Pupper Cuts: If you already have me on Facebook, you’ll know my babies got cut this week. I have four westie dogs and they all came home from the saloon looking dashing. They all seem so much happier when they’ve had a shampoo bath and a trim. 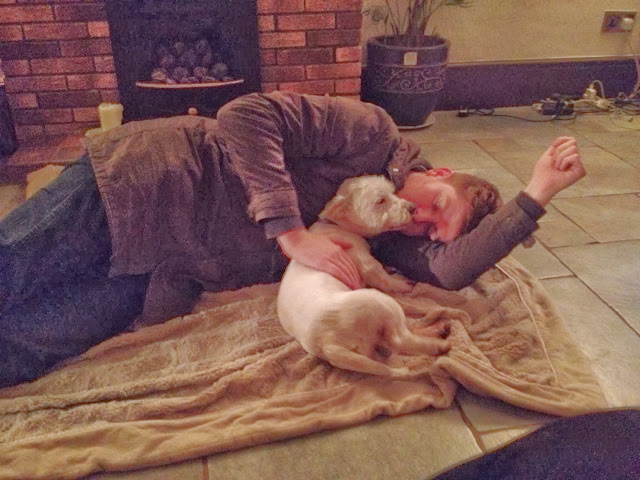 This photo was one I took yesterday of Josh and Elvis snuggling up on the floor. Love!